‘I am really enjoying these classes – thankyou for your fabulous teaching and breakdown of the dance movements. I appreciate even more now, how it is a long slow process to learn the dance, and how each person has their own personal journey both mind and body to be able to learn the various dance movements. It is really an awakening. Ok! Here we are! 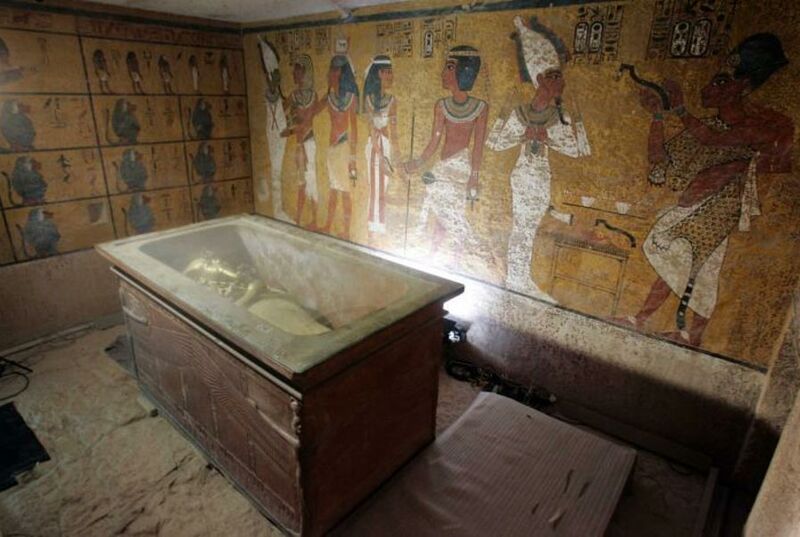 The latest and possibly the last instalment of the Nefertiti and King Tut tomb saga…. 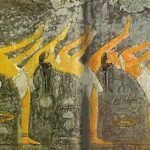 (see past posts) – The Italian team who have completed ‘extensive studies with ground-penetrating radar’ have announced there is nothing behind the walls of King Tut’s tomb and accordingly it seems this is might be the final word. Well here is the latest (see link below)…..but somehow I sense not the final word, on King Tut’s tomb being in proximity to Nefertiti’s burial chamber. There is something that doesn’t sit well with me in all of this, an inkling that not enough has been done, and even where focus has been exhausted (i.e. side wall chambers), I would like to know what Dr. Nicholas Reeves has to say on the matter. The hyperbole around the theory, (inevitable given the subject matter), may have worked against him. 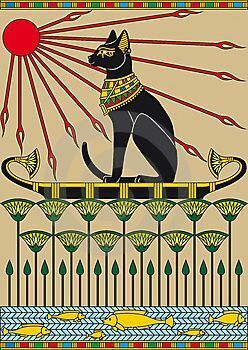 Egyptology – like many art/sciences – can be a minefield of ego, jealousies and politicing as is historically the case in most arts/sciences. I hope there is some continued interest in the theory. Dr. Reeves has been so patient and respectful observing the painfully slow protocols that inevitably surround such a theory and investigation of such an iconic tomb. This alone has garnered my respect and admiration. DANCING OR DANCER?�. yes, there is a distinction. It is very common for students to meet a particular expectation by externally �painting on� a shape or being�taught�to �perform�, rather than�to seek�a deeper experience with their bodies, and by extension their movement expression. Dance movement, indeed any authentic, systemic movement�must first be seeded from deep within. � Often, in�the beginning, the seed is so small as to be indiscernible except to the most trained eye. � It is the role of the seasoned teacher�to determine which is occurring from the very inception � a�forced external expression, or the true�genisis of the movement � the student, once aware of this important distinction,�has the opportunity to develop both the deep �unconcious internal knowing� and the��conscious external structure�. �Every ancient civilisation�holds these principles bestowing�a different language and stories for the same meaning. 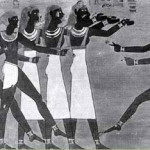 �� Ancient Egypt is no exception and holds its own disciplines,�myths and language to describe this familiar and eternal dance of balance and energy. The body/mind/spirit is�inextricably intertwined and we need a fine balance�to bring freedom and�beauty to movement. �Find out more by registering your interest for courses or workshops – where we would travel together�on this heart felt journey. Please also follow this link to another blog post �The Javelin Principle� which may be of interest to more experienced students. The acorn does not know a mighty tree exists within it…It simply grows. 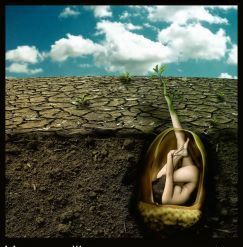 ‘THE SEED’– This 5 week intro coursewill gently strengthen and align your body using your innate body/mind/spirit potential. I have spoken at great length of the importance of understanding the roots of a cultural dance – but first and foremost there must be The Seed from deep within you. The very seed of powerful, aligned, balanced, nuanced movement. 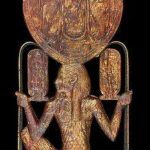 The genesisof Egyptianmovement traditions and how to seed this into your own experience and expression…. Ancient eastern healing breath/body work to further awaken and deepen your connection with the Elementals. The latest bioscience findingsinto body/mind/movement. 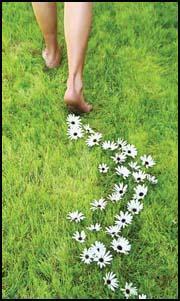 You will discoveryour innate body schema, offering an opportunity to explorea deeper more profound source of movement. After all, you can only get to a destination if you know from whence you start. You will also discover how each of the above formsasymbiotic relationship to finally convey thedynamic and authenticexperience we seek inour dancescape. In time, this applied knowledge will transform not only how you move, but how you experience movement. It almost goes without saying that it also offers amazing holistic health and healingopportunities, regardless of your starting base. This course would also benefit more experiencedlevels, provided youare willing to take that step back to explorenew challengesand new possibilities to the exclusion ofprevious experience/expectations. Course starts August 12, 2.15p.m. Classes are small, intimatein a private, purpose built studio. Please contact me via facebook messagehttps://www.facebook.com/elemental.egyptian.dancewith any queries you may have. A few testimonials from students:. Frank and honest self -evaluation, combined with a little determination and dedication, could facilitate a�step beyond any impatience or discontent. Mada Masr has teamed up with YouTube series Cinematology to publish subtitled video essays on�appreciation of Egyptian cinema�twice a month. In 2015, young Egyptian mechanical engineer-turned director Mohamed Abu Soliman started publishing short opinionated video essays exploring Egyptian cinema and the filmmakers behind it. The first episode ��on Youssef Chahine’s image composition and camera work ��has been watched over 5000 times and opened several conversations on film appreciation on YouTube and Facebook. He didn’t originally plan Cinematology as a series, but decided to keep going due to the amount of positive feedback he received. He has published seven�video essays so far, and more than 12,000 people follow the Facebook page. Each video essay is under 10 minutes long and filled with footage from films, quirky energetic narration in Arabic and insights into cinematic technique, filmmakers� biographies and the historical context of making films in Egypt. Some analyze a�specific characteristic of a director’s work, others focus on one film, and some simply use film clips to construct a visual profile of a film industry figure. Soliman uses the Cinematology Facebook page to share these videos, as well as articles and video essays on filmmaking from all over the world. This content keeps the page active, as he�creates the Cinematology videos on his own and each one takes weeks to plan and produce alongside his full-time job as a filmmaker and producer for television. With translator Amira Elmasry, Mada Masr is creating English subtitles for�Cinematology�episodes and republishing them�every other Wednesday, starting with the first, below. I have a great respect for the work of Zahi Hawass and despite the criticism often levelled at him regarding ego and personal aggrandisement, one has to admit he has attracted broad improvements and opportunites�for Egypt and Egyptology during his time(s) in office. However, I have to confess a concern as to the basis of his objections to the possibility of Nefertiti being buried in the Valley near Tutankhamen – is he just a little miffed that another is suddenly getting world attention on what could arguably be the world’s most important archeological find since Tutankhamun? �It would be behove him to quiet a little and be a little more generous with the opinions and intuition of others who are equally qualified and talented – and providing compelling results with their investigation into Tut’s tomb. 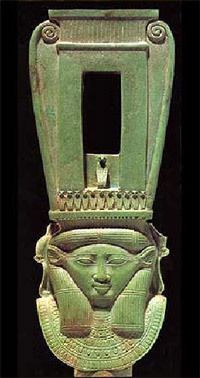 There is a question as to whether Nefertiti left Armana and re-established herself at Thebes after Akhenaton’s death, (or possibly even before?). �It has also been suggested that the Co-regent Smenkhkare�(husband of Merytaten-daughter of Nefertiti and Akhenaten) may have left for Thebes and�started re-establishing the old religious traditions and did not die as has been claimed in the 3rd year of his reign ….and further… even if the priests were against the�burial of ‘the heretics’ in the Valley of the Kings, the�priests would not have had the last say in how or where Nefertiti – or others of that period – were buried, but rather the succeeding Pharaoh (Tutankhamen) – also Grand Vizier Ay �(hypothesised father of Nefertiti -�Ay was certainly present during the whole Armana period as well as prior in the form of a senior military officer during the reign of Amenhotep III), who became Pharoah after Tutankhamun for a short time.� The position of the priests of Amun had been severely weakened during the reign of Akhenaton, it would stand to reason they would be thrilled with the opportunity to re-establishing the old traditions. 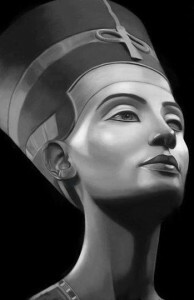 It is generally understood that�Nefertiti ruled as co-regent and perhaps (more speculatively), was even Pharaoh herself under another name before Tutankhamen �� although this is a theory�disputed with evidence against, it does have its own compelling evidence and cannot be dismissed out of hand. � Recently reference to her �has been discovered telling us that she indeed was alive and well long after she ‘disappeared’ from reference at Armana. 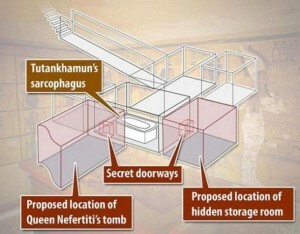 � Consequently, it is feasible that Tutankhamun would have had her buried in Thebes in the Valley of the Kings, as he also began to re-establish the old order before his death.� It would make�sense that her relatively recent tomb was plundered to�provide some of the necessary tribute for�Tutankhamen�s early demise � this is another theory. � If there were still ambivalent feelings toward those who had lived in Armana and practised the worship of the Aten, then it makes the redistribution of grave goods from Nefertiti to Tut even more plausible. CONCLUSION: Whether or�not this is Nefertiti�s tomb, or anothers perhaps Smenkara or Kiya (mother of King Tut) or whether or not it is intact, what riches of knowledge there would be in consolidating such an exciting – and oft romantisized – period in Ancient Egypt. 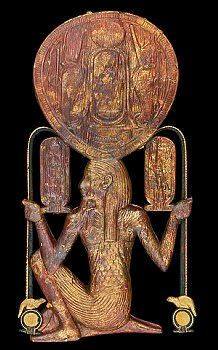 ��Perhaps it may hold the final story of the extraordinary time of Armana and Akhenaton. �It is sad to hear Dr. Hawass talking in such (�final�) �once and for all� tone. 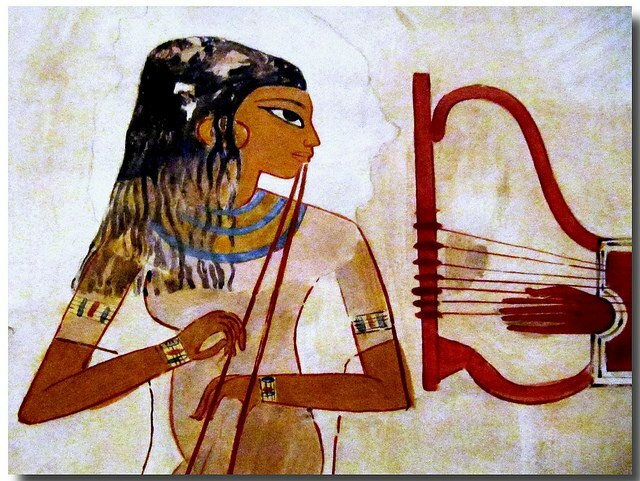 � If some or all of the burial artifacts found in King Tut’s tomb were re-used from another tombs elsewhere for example, ..then the radar may not pick up any scattered papyrus, and definitely not the wealth of primary depictions that may still exist on the walls of this�space, from ancient grafiti to actual historical depictions. � There are many anomalies about Tutankhamun�s burial chamber (and some of the artifacts) that suggest it is well worth exploring these rooms no matter what the radar reveals.� But right now I am reminded of the words of Om Sety who is quoted as having said: �it (the tomb of Nefertiti) – is very near the tomb of Tutankhamen….in a place where no-one would think of looking�. � Perhaps they should scanned the floor as well? This would be like a dream come true�especially since Hollywood continues to be such a disappointment�in the 21st century – at least in terms of honoring such an extraordinary history and culture. �It is�my sincere hope that this will provide the kind of riveting,�spectacular theater akin to the discovery of King Tutankhamun’s tomb – not to mention the invaluable historic information�that will be bought to light. My skepticism is far outweighed by my desire to have such a remarkable find revealed in my life time…. 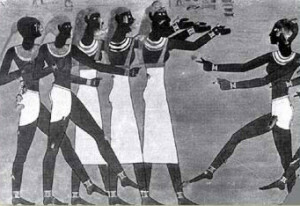 � so much more to know and understand of a radical�time in Egyptian history. 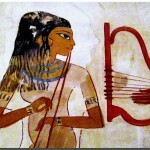 � Did the people of Egypt and indeed Nefertiti herself, grow to hate Akhenaten and his religious regime�as has been�suggested by some scholars? Was Nefertiti crowned Pharaoh following Akhenaten’s demise under another name? � How and when did she die? What�role did she perhaps play in the transition back to the former�religion? Perhaps we will learn�this and more…however should this be the final resting place of Nefertiti, the most exciting aspect of this for me is that it would prove Omm Sety to have been correct (yet again). I already had a clear concept of how the EED training would assist dancers by bringing depth and clarity to their technical training and invaluable cultural understanding to the movement and expression. 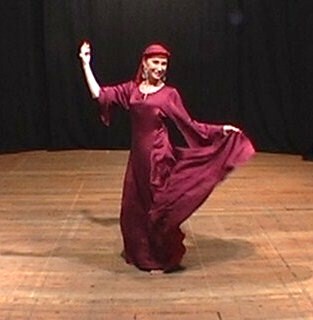 The website content came together very quickly, as I was able to immediately categorize and publish many articles that I had already completed to assist my students with dance. What was a lot more problematic and challenging was the simple logo….simple? really? How do you encapsulate something so profound in a graphic?….It was a long and tortuous process (more for the designer than me! lol), of to and froing, until I felt enough of the most important elements were represented. ‘It’s a bit busy for a logo’ was the designers response – ‘not ideal for ease of publishing’. Practical and pragmatic have never been my strongest suits, so personally satisfied that the most significant bases had been covered – (and much to the relief of the graphic artist!).. I finally signed off on the EED logo. ?Here is an article I wrote at that time to introduce the logo to the world. ?For details on how you can experience the strength and empowerment of EED for yourself please contact via the website or facebook.